UPPERS: High quality split leather upper with secure double strap closure. 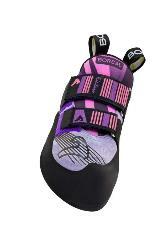 Integrated neoprene padded tongue for comfort. Optimum heel fit from 2-way tension "V2 Rand"
Developed from the previous incarnation of our highly acclaimed Kintaro, the shoe has evolved into a true high-performance all-rounder. The all new women’s specific last shape fits the contours of a lower volume foot, with a lower cut ankle and slim fitting heel. When combined with our high quality unlined leather upper, padded neoprene tongue and double width strap closure, this results in a highly secure and comfortable fit. Our V2 Rand™, a 2-part rand that tensions a much larger area of the shoe, provides the ultimate heel fit. The soft midsole and super sticky Zenith™ rubber allows the use of marginal smears, while the high degree of downturn and asymmetry helps direct power to the big toe for those tiny edges. 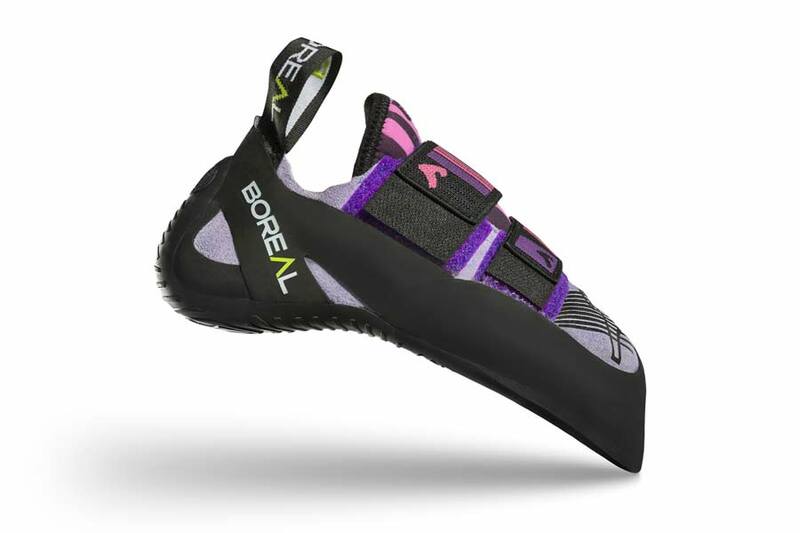 Boreal Kintaro Women’s is a precise, sensitive shoe that still manages to remain comfortable. 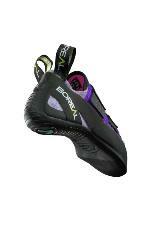 It is ideal for steeper rock, and will suit boulderers, sport and trad climbers looking to operate at higher grades. ​BOREAL Athlete Ollie Torr showing us all the newly revamped Kintaro. Filmed at a local Crag in Leicestershire, Ollie shows how the shows perform on steep slate boulders.